The Pillow offers many opportunities for families. From more than 350 free events to our beautiful public grounds, the Pillow is the perfect place to spend an afternoon, evening, or weekend. The Pillow has activities suited for all age groups. If you are interested in spending the day on beautiful grounds, we encourage you to pack a picnic and soccer ball and join us on the Great Lawn or one of our picnic areas. Outside food and beverages are welcome and picnicking is encouraged. Or join us at Inside/Out, our free outdoor dance performance series, open to everyone Wednesday-Saturday during the Festival, no ticket required. Parking is free. If you have an aspiring dancer in your midst, join us to observe The School at Jacob’s Pillow and watch some of the world’s most famous dance artists work with students in a professional atmosphere. Dancers five years old and up are encouraged to sign up for our Families Dance Together classes, an intergenerational class that brings people of all ages together for a fun take on dance. Intermediate dancers 16 and up can attend a Sunday Master Class and Morning Classes are open to all experience levels. Learn more about our Community Classes. The Inside/Out Performance Series takes place on Wednesday-Saturday evenings. Families can also explore our free extensive Archives, free PillowTalks, free tours Thursdays and Saturdays, and free pre and post-show talks. The Pillow also offers a number of Community Events each summer, many of which are free. Each year, the Festival brings many international artists and world premieres to the Ted Shawn and Doris Duke Theatres. Notable past performances include the U.S. debut of The Göteberg Ballet, CND2 of Spain, and Dance Theatre of Harlem Ensemble. Student and Child discounts are offered for every performance and $10 Youth Tickets are offered for programs especially well suited for young audiences. Please contact the Box Office with any questions about programming and to receive discounts. 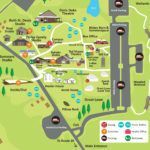 Jacob’s Pillow is also a great place for birthday parties, office functions, weddings, family reunions, and special events. Whether you have a party of twenty or two hundred, Jacob’s Pillow is a beautiful setting for your special event. Ticket discounts and group dining are available for groups of 20 or more. For group pricing, please contact [email protected]. To learn more about special event options, please contact 413.243.9919 x112. Our free outdoor Inside/Out performance series is open to everyone Wednesday-Saturday during the Festival.